Episode 51 - The European Tour meanders towards it's close with a Rolex Series event in South Africa - the Nedbank Challenge. Rory and Sergio attend with the like of home-grown stars, defending champion Branden Grace and Louis Oosthuizen. To be honest with the Race to Dubai almost at a close, it's a relatively poor field, but the Gary Player Country Club always serves up some excellent action at what is South Africa's biggest tournament. The PGA Tour takes it's second trip to Mexico with the Mayakoba Golf Classic. 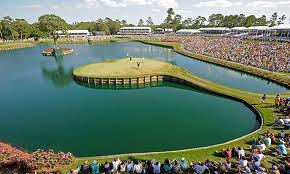 This tournament may have lost it's sponsor but the $7.2 million on offer has drawn the likes of Rickie Fowler, Jordan Spieth, Tony Finau, Gary Woodland and Billy Horschel. Intro: 00:00; Nedbank Challenge Start: 09:04; Mayakoba Start: 36:22.